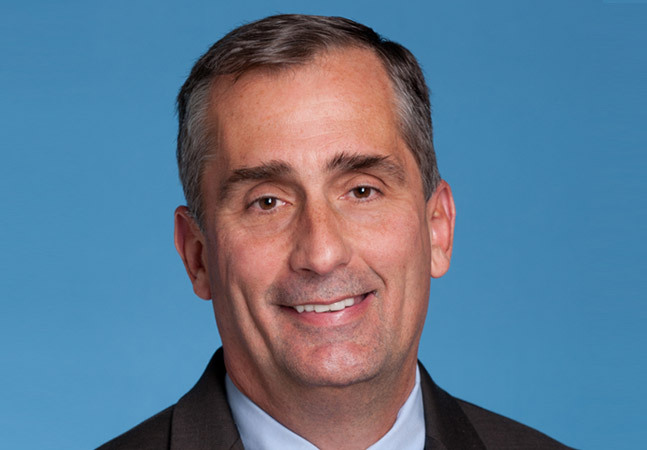 Brian Krzanich is out as CEO of Intel after an investigation into a past consensual relationship with an Intel employee. Intel announced Thursday morning that Krzanich, 58, was resigning his post and his seat on the Intel board. Chief Financial Officer Robert Swan was named interim CEO effective immediately, and Intel has begun a search for a permanent CEO. According to a company statement, "Intel was recently informed that Mr. Krzanich had a past consensual relationship with an Intel employee. An ongoing investigation by internal and external counsel has confirmed a violation of Intel's non-fraternization policy, which applies to all managers. Given the expectation that all employees will respect Intel's values and adhere to the company's code of conduct, the board has accepted Mr. Krzanich's resignation." Krzanich has been CEO at Intel for five years, and started at Intel as a process engineer in 1982. Swan has been CFO at Intel since 2016, and held similar roles previously at eBay Inc., Electronic Data Systems Corp. and TRW Inc. The bombshell comes just five days before Intel's second-quarter earnings call. Intel had a rough start to the year with disclosure of the Spectre/Meltdown security issues, related class-action lawsuits and questions about a Krzanich stock sale before the security flaws were made public. Yet the company had a strong Q1 and Intel as a company is bullish about the just-ended quarter. Alongside the statement about the resignation, Intel raised its guidance for Q2. Intel now expects adjusted earnings of $0.99 per share on $16.9 billion in revenue, up from a previous forecast of 85 cents a share on $16.3 billion in revenue.